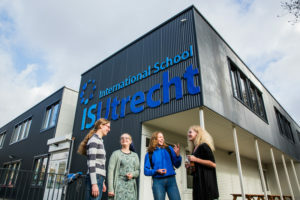 International School Utrecht is currently spread over two semi-permanent buildings: the main building at the Van Bijnkershoeklaan 8 and the annex, close by, at the Grebbeberglaan 25. The heart of the main building at the Van Bijnkershoeklaan is the Aula which is overlooked from the first floor. This space is used for assemblies, social events, parent evenings and concerts. The main campus houses all the primary classes, as well as a primary and secondary music room and practice studio, classrooms for a number of the secondary subjects and a senior student lounge. At the back of the main campus there is a fenced-off Early Years adventure playground and to the side of the building there is a primary playground with a football/basketball cage and other outdoor play equipment. The annex at the Grebbeberglaan 25 offers secondary students spacious classrooms, a large visual arts workroom and a drama studio. Students have the use of a kitchen and lunchroom, as well as a number of self-study spaces. 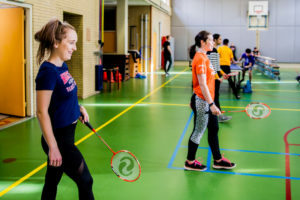 ISUtrecht is in the process of securing a long-term permanent location in the city of Utrecht. 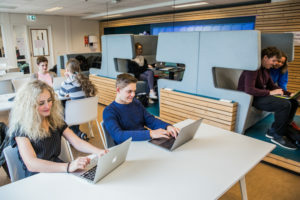 As the school falls under state provision in the Netherlands, it is the municipality that is responsible for the provision of the school’s accommodation. The municipality, the ISUtrecht and Utrecht University are currently working towards a new school campus to house 1200 students at the Cambridgelaan at the Utrecht Science Park. To find out more about the permanent campus.